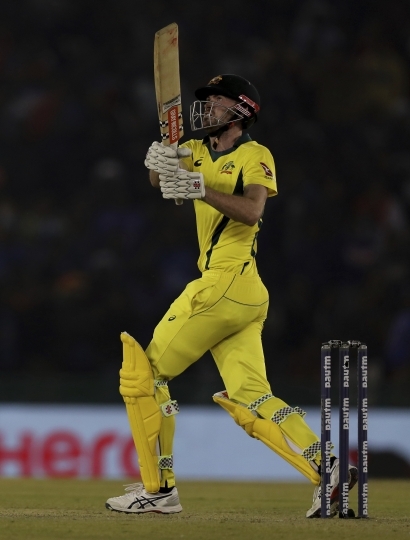 MOHALI, India — Ashton Turner bludgeoned 84 off 43 balls as Australia beat India by four wickets in the fourth ODI on Sunday to level the five-match series 2-2. Peter Handscomb added 117 off 105 balls, while Usman Khawaja made 91 runs as Australia made surprisingly easy work of an imposing 359-run target. Handscomb and Khawaja put on 192 runs for the third wicket after Australia had been reduced to 12-2 and Turner applied the finishing touch to lead Australia to 359-6 in 47.5 overs. Earlier, Shikhar Dhawan scored his 16th ODI hundred as India reached 358-5 after opting to bat on the best pitch in this series. Rohit Sharma also scored 95 runs and the duo put on 193 runs for the opening wicket to set the stage for a challenging score. But dew and poor fielding put paid to India's chances as Australia rallied to its record chase in ODI cricket. Chasing 359, Bhuvneshwar Kumar (1-67) bowled Aaron Finch for a two-ball duck and then Jasprit Bumrah (3-63) sent back Shaun Marsh (6) with Australia struggling to get going. Khawaja and Handscomb then dug deep, rebuilding the innings from scratch but took calculated risks to keep pace with the asking rate at all times. Australia crossed 100 in the 19th over. While Handscomb passed 50 off 55 balls, Khawaja scored his seventh ODI half-century off 52 balls, his second of the series as they kept Australian hopes alive after taking the score past 200 in the 33rd over. With the asking rate touching 10 per over, it was time to change gears but Khawaja holed out to Bumrah in the 34th over. However, dew was starting to make its presence felt and the Indian spinners struggled to grip the ball. But that was scant excuse for some poor Indian fielding for a second game running after a torrid show in the third ODI on Thursday. After Handscomb scored his maiden ODI hundred off 92 balls, Rishabh Pant missed a stumping chance. The young wicket keeper would then miss another later on with Turner making the most of his second chance. In between, Kuldeep Yadav (1-64) trapped Glenn Maxwell (23) lbw, with DRS ruling against the batsman. Handscomb and Turner put on 42 runs as the game changed course toward Australia in the final power play. 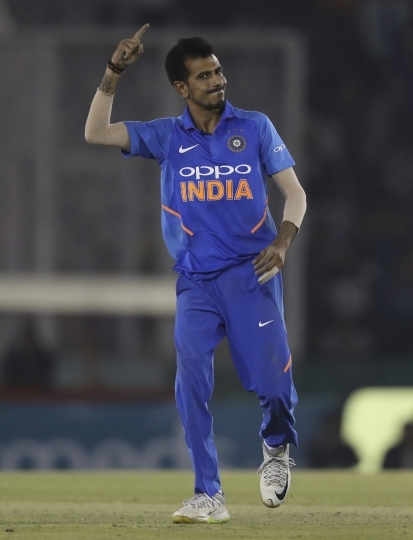 Even when Handscomb was caught at long on off Yuzvendra Chahal (1-80) in the 42nd over, Australia remained in contention. Playing only his second ODI, Turner made great use of the conditions as he smacked five fours and six sixes to stun the Mohali crowd, putting on 86 runs with Alex Carey (21). He reached his maiden half-century off 33 balls and gained from two dropped catches in an over off Kumar, taking Australia across the finish line with 13 balls to spare. "The partnership between Usman and Peter was crucial to get us deep (in the innings). The wicket was good and there was no panic. This is what we try to do when chasing 300-totals in Australia. We have seen Ashton do this a lot in Big Bash League, and it was a world-class knock to take on two of the best death-bowlers in cricket at the moment," said skipper Aaron Finch after the win. Earlier, opting to bat, Dhawan and Sharma made good use of the batting track on offer as they provided a rollicking start to the Indian innings. Dhawan in particular was harsh on the Australia bowlers as the duo brought up 50 off just 56 balls. India's 100 came up in 104 balls. After a slow start, Sharma scored his 40th ODI half-century off 54 balls, hitting seven fours and two sixes overall. Dhawan reached his first hundred since September off 97 balls. Sharma fell with his hundred in sight, holing to the deep off Jhye Richardson (3-85). Dhawan took over the reins as he continued attacking, hitting 18 fours and three sixes overall. Lokesh Rahul (26) came out to bat at No. 3, but couldn't sustain the momentum, though he managed to add 61 runs with Dhawan for the second wicket. Pat Cummins (5-70) took his maiden five-wicket haul in ODI cricket and applied the brakes to India's innings when he bowled Dhawan in the 38th over. Virat Kohli (7) fell cheaply for a change, caught behind off Richardson, and despite Rishabh Pant's cameo of 36 off 24 balls, India were in danger of falling short of 350 after crossing 200 in the 32nd over. 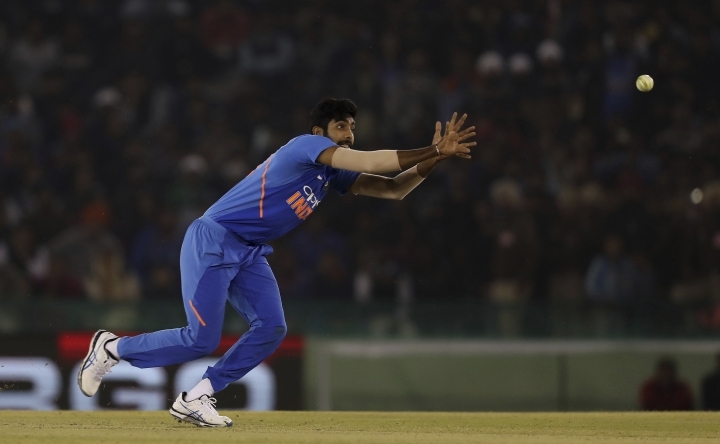 Vijay Shankar then hit 26 off 15 balls and pushed the score higher, but it didn't prove enough. "It became too wet to bowl. The stumping chances were crucial, but we were sloppy in the field as well. We should have grabbed our chances," said Kohli. "Handscomb and Khawaja played well, but Ashton played one hell of a knock. It was the game changer. The wicket was good throughout and dew made it difficult to bowl in right areas. (But) It was a record chase and they deserved to win." The fifth and final ODI will be played in Delhi on Wednesday.